Is wearing bustiers your favorite summer trend? 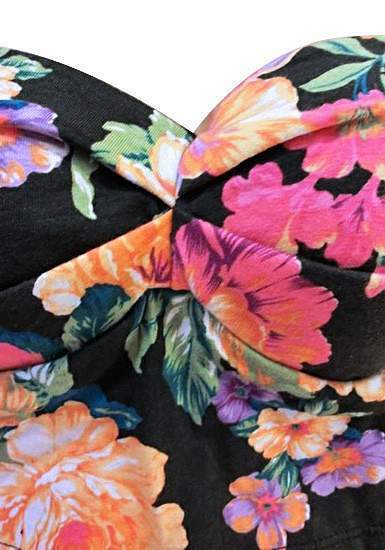 Then you should own this floral tight-fitting top. 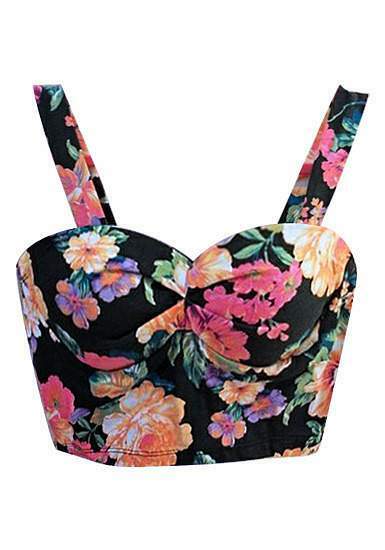 It has colorful flower prints and a elastic band at the back . This fabric is made of stretchable material and is unlined. It also features a sweetheart neckline and is padded to make your look more alluring. Best when paired with cute high-waist shorts or maxi skirts!